The Dallas International Film Festival has announced a 25th anniversary screening of the classic science fiction satire Robocop as the closing night event of its 2012 festival. 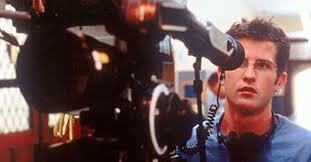 Filmed in Dallas by director Paul Verhoeven, Robocop quickly became a cult classic. (A remake starring The Killing‘s Joel Kinnaman is currently in the works.) The screening will be presented in partnership with the Dallas Film Commission and held at the historic Texas Theatre on Saturday, April 21, with many of the original cast and crew in attendance. Specific attendees have not yet been announced. The 2012 DIFF will take place April 12-22; the official schedule and final programming selection is expected to be announced soon. For more info, visit the DIFF website. Also: Donnie Darko director Richard Kelly will shoot his next project, Corpus Christi, on location in Austin and Corpus Christi in July. Edgar Ramirez (Carlos, The Bourne Ultimatum, and the upcoming Wrath of the Titans) will star as an Iraqi war veteran with severe post-traumatic stress disorder who falls in league with a shady Texas industrialist. Director Richard Kelly to shoot next feature in Texas. The film is said to follow a more traditional narrative than Kelly’s previous work (Donnie Darko, The Box, and Southland Tales). It will be produced through Quick Draw Productions. Kelly, Robert Rodriguez, Eli Roth, Sean McKittrick, Aaron Kaufman, and Iliana Nikolic will produce.